Antioch Tire—a leader in commercial truck tire sales and service in the Midwest area—wished to venture into the retail passenger tire business. 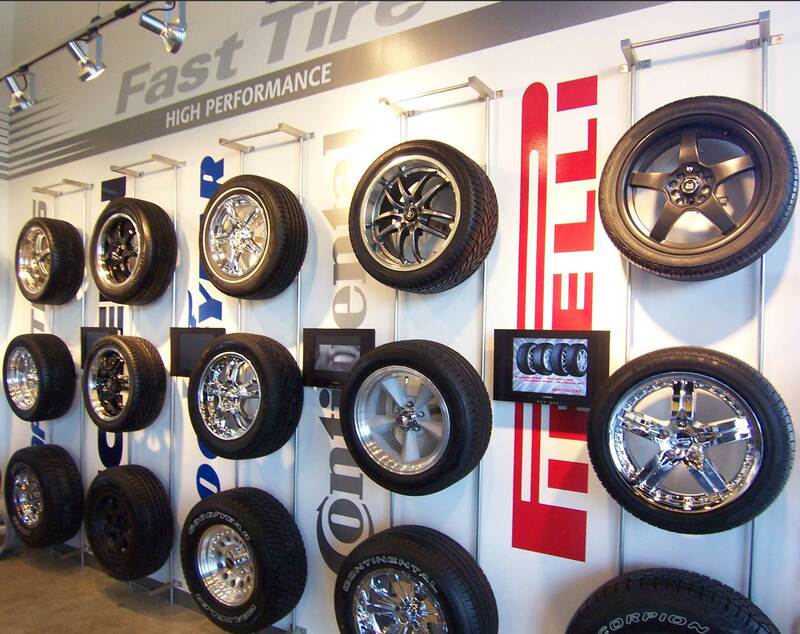 In order to stand out from the many national chain tire stores, Fast Tire approached Ideation Studio to develop a store environment that would attract attention. 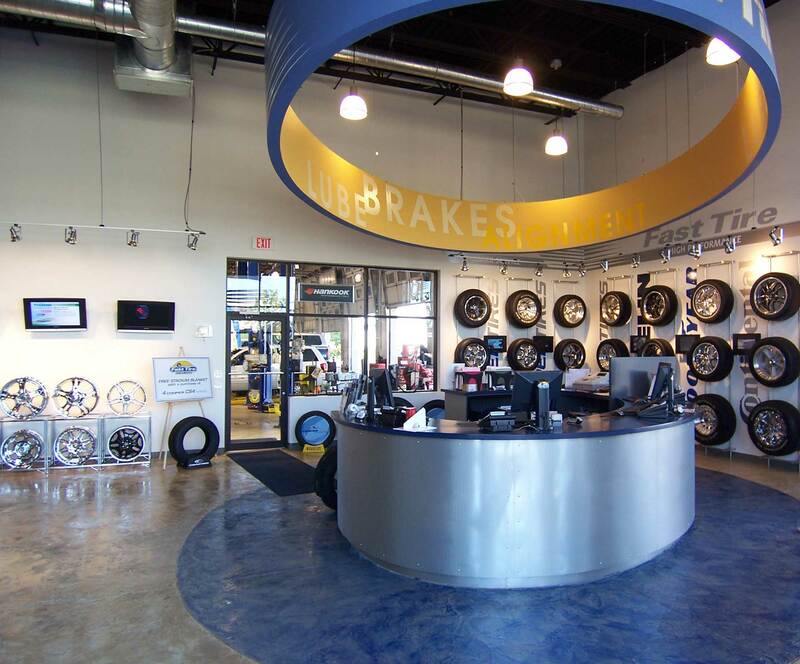 Ideation created a destination store by presenting a showroom that emphasized the breadth and depth of tires and wheels in a distinctive environment with a wide range of customer amenities. 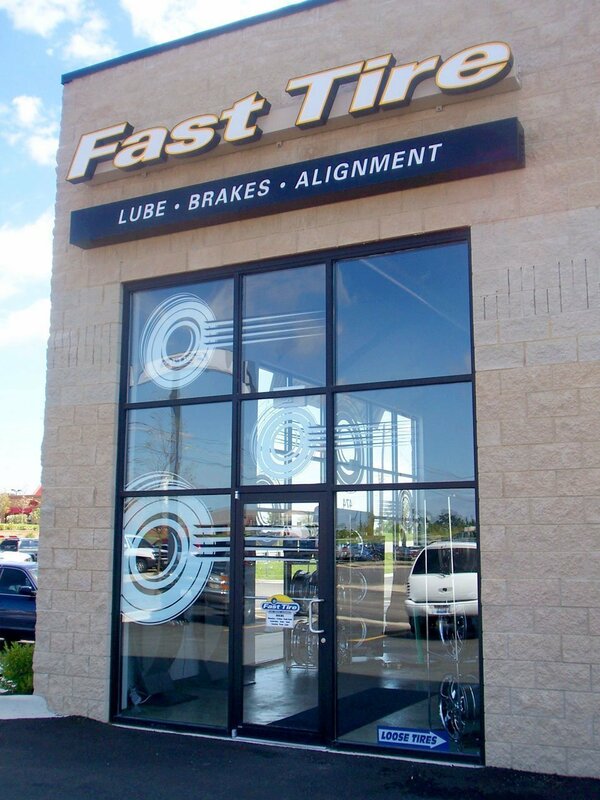 Fast Tire was a retail environment that championed a number of advances over their competitors. 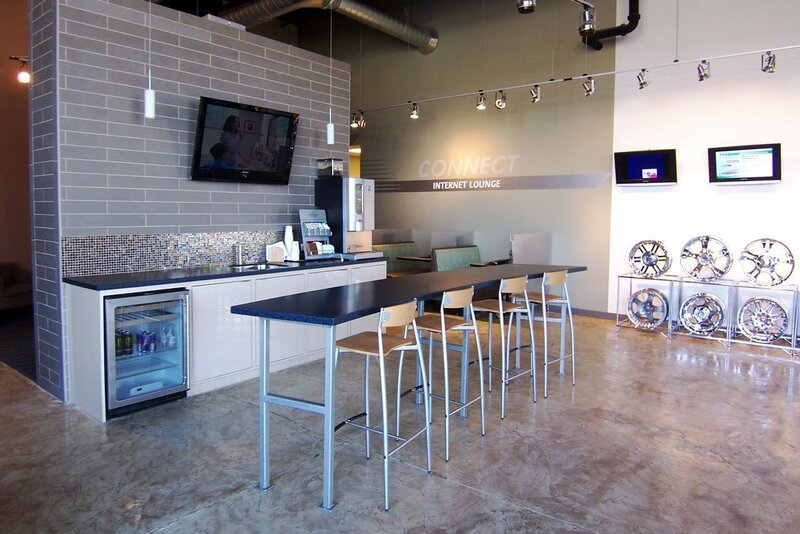 The showroom featured a custom tire and wheel wall with individualized flat screens whose content listed benefits of each tire. The chrome gray and white wall backdrop displayed the tires in a theatric presentation. Amenities for the waiting area include a high-end coffee bar, café booths for private reading, three distinctly different seating zones, an ESPN-sports centric lounge, a quiet area, and a news center plus a total count of 32 flat screens for the customer’s entertainment. Auto-centric video games are available for the customers use and the site is Wi-Fi accessible. At the core of the space is a round service counter that is the sales and service hub for the store. The interior space is presented with a value-driven list of materials with a colored concrete floor, open ceiling with exposed trusses, and warehouse lighting, all contributing to a “good value – good vibe” image for Fast Tire.